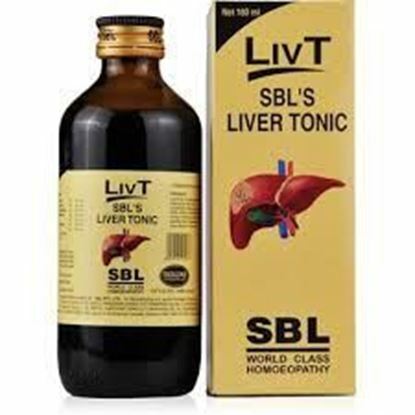 Properties FormSyrup Weight370 (gms) Dimensions5.3 (cm) x 5.3 (cm) x 14.4 (cm) About Liv-T Syrup Liv-T Liver Tonic is specially formulated to combat various liver disorders caused by bacterial & viral infections, drugs, alcohol and chemicals. 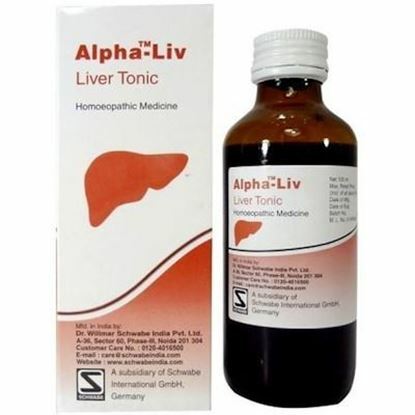 Liv-T Liver Tonic rejuvenates hepatic cells, tones-up the liver, eliminates hepatic toxins, promotes the flow of bile and prevents its thickening & crystallization, promotes appetite and strengthens the digestive process thus restores good health. Indications: Hepatitis (acute, chronic and alcoholic), cirrhosis, enlargement of liver, sluggish liver, jaundice, loss of appetite. Also useful in malignancy of liver and gall bladder. 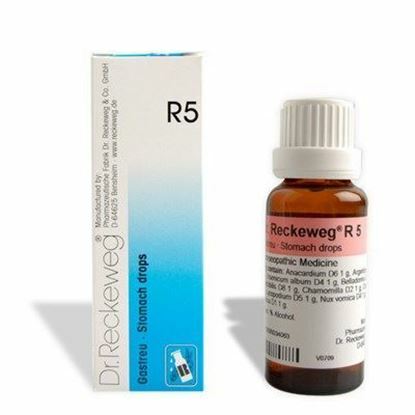 Properties FormDrops Weight69 (gms) Dimensions3 (cm) x 3 (cm) x 9 (cm) Dosage of Dr. ReckewegR5 Generally 3 times a day 10-15 drops in some water before meals. After complete disappearance of the symptoms, in order to prevent relapses and to regularize the neuro-vegetative system, once a day 10-15 drops in some water before the main meal. Terms and Conditions We have assumed that you have consulted a physician before purchasing this medicine and are not self medicating. 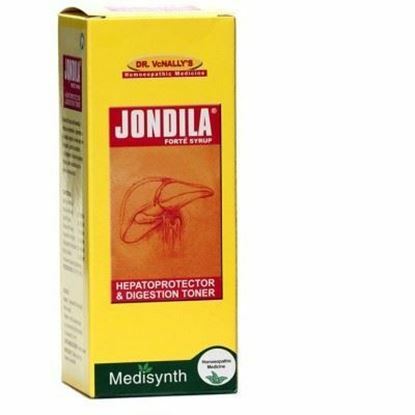 Properties Ingredient BaseHomeopathic FormOil TypeAnti Hairfall, Anti Dandruff FormSyrup Weight401 (gms) Dimensions5.7 (cm) x 5.6 (cm) x 16 (cm) About Jondila Syrup A distinct product with beneficial effect as a restorative, regenerative & protective agent in a wide spectrum of hepatic & gastric complaints. It aids digestion & improves appetite. Acts as a best restorative tonic in general convalescence. 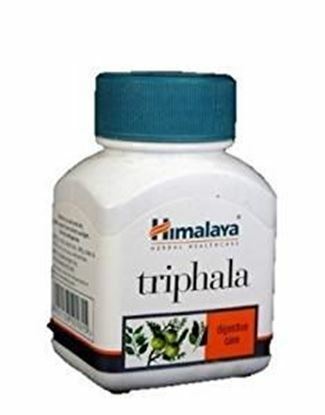 Himalaya Triphala is a 100% natural herbal compound and is a cornerstone of ayurvedic medicine. Triphala means 3 fruits and contains equal proportions of the fruits of Amalaki / Indian Gooseberry (Emblica Officinalis), Haritaki (Chebulic Myrobalan) and Vibhitaki (Bellirica Myrobalan). It is said that Triphala is able to care for the internal organs of the body as a mother cares for her children. Each of the three herbal fruits of Triphala takes care of the body by gently promoting internal cleansing of all conditions of stagnation and excess while at the same time improving digestion and assimilation. Triphala is widely used in a large number of medicinal preparations. Triphala is an effective blood purifier that stimulates bile secretion as it detoxifies the liver, helps digestion and assimilation, and promotes normal serum cholesterol and lipid levels throughout body. It is also a laxative that rejuvenates the membrane lining of the digestive tract and contributes to effective cleansing of the colon, a key condition in Ayurveda to maintaining optimum health. When consumed for a long period, it helps reduce excess weight. It promotes good colon health and acts as a laxative without causing cramps or irritation. It gently stimulates the intestinal walls and restores tone to the colon, thus helping in the elimination process, providing a colon cleansing effect. It also helps maintain good eyesight. It has shown in-vitro anti-oxidant activity. It is effective in preventing superoxide induced hemolysis of the red blood cells. It also prevents lipid peroxidation induced by Fe3+/ADP/Ascorbate system in liver mitochondria. 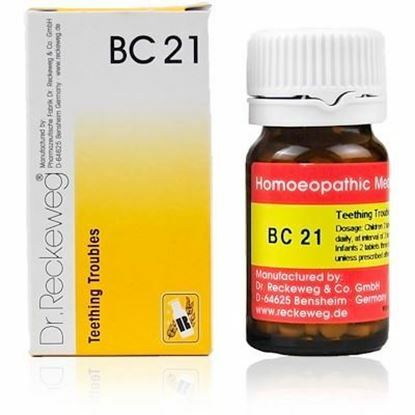 Properties Weight75 (gms) Dimensions4 (cm) x 4 (cm) x 7.5 (cm) Dosage of Dr. Reckeweg Bio Combination 21 Children : 1 to 2 tablets 4 times a day. Terms and Conditions We have assumed that you have consulted a physician before purchasing this medicine and are not self medicating.